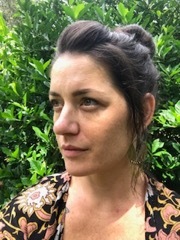 Neill is associate curator of Florida Archaeology and Bioarchaeology at the Florida Museum and affiliate faculty in the Department of Anthropology. He conducts archaeological research in Florida and the Southeast, focusing on the dynamics of pre-Columbian communities and social networks. 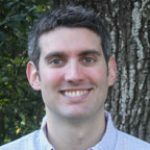 His active research projects include multi-sited sourcing analyses of Swift Creek, Weeden Island, and Safety Harbor/Fort Walton pottery across northern Florida and southern Georgia, and field investigations at Woodland and Mississippian sites in north-central Florida and the Gulf coast. Lindsay is collections manager for the Ceramic Technology Laboratory and Florida Archaeology at the Florida Museum of Natural History, and affiliate faculty in the Department of Anthropology. 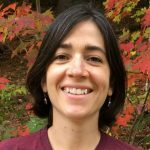 Her research focuses on craft production, trade, and exchange in historic and prehistoric contexts, examined through the lens of utilitarian ceramics. 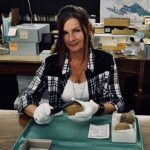 She has conducted analyses on collections from the southeastern U.S., Great Britain, and the Caribbean using a variety of methods including LA-ICP-MS and XRF to discover new information about these often visually generic artifacts. Currently, Lindsay is investigating the production of St. Johns pottery across peninsular Florida. Ann oversaw the Ceramic Technology lab for more than 30 years, before retiring in 2017. 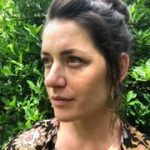 She has studied prehistoric and historic aboriginal pottery from Florida, the southeastern U.S., and the Caribbean, with a specialization in petrographic analysis. In her retirement, she continues to actively conduct research as a courtesy research scientist in the lab. C. Trevor Duke (MA Anthropology, 2015, USF, Tampa) is working toward a PhD in Anthropology here at UF. His project focuses on ceramic vessel form, function, and provenance of Deptford through Safety Harbor period pottery from Safford Mound (8Pi3), Pillsbury Mound (8Ma30), and other mound sites along the Florida Gulf Coast. Trevor will be working closely with Dr. Neill Wallis as part of a broad research effort to assess the ways in which the expansion of religious traditions affected social, political, and ceremonial practices during the middle-to-late Woodland Period. 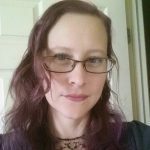 Amanda Hall (MA History, 2016, UNF, Jacksonville) is working toward a PhD in Anthropology with a concentration in Southeastern archaeology here at UF under the tutelage of Dr. Charles Cobb. 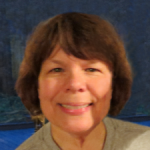 Her interests are Native American ceramics from the Mississippian, Protocontact, and Contact Periods. Her current project focuses on Lamar-like clay balls (or objects) associated with the mission period that were excavated during the 1950s-1980s from various sites in the Florida panhandle. Research focuses on the manufacture, function, and distribution of the objects and assesses the ways they might have served as part of the Native American sociopolitical landscape. 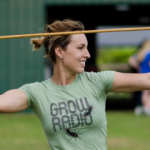 Kristen Hall (BA Anthropology 2013, UF, Gainesville) is working towards an MA in Anthropology here at UF. Her undergraduate thesis (“Reexamining Suwannee Valley Pottery: a Typological and Formal Analysis of Pottery in Feature I at Parnell Mound”) focused on the analysis of Suwannee Valley ceramics. Her MA is a technofunctional analysis of the Cades Pond pottery assemblage from the Melton Site Complex, (8AL5, 8AL7, 8AL169) (https://florida.academia.edu/KristenHall). 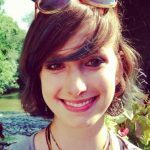 Hannah Toombs (BA Anthropology 2016, BA Spanish 2016, Penn State) is working towards a PhD in Anthropology and Latin American Studies here at UF. Her project focuses on contemporary pottery production by the Lenca in western Honduras. In the CTL, Hannah is conducting technofunctional analyses of Lenca pottery alongside archaeological pottery from the Maya site of Cerros in Belize. By comparing archaeological and modern specimens, she is learning how to recognize the characteristic markers of these hand-built wares. Amanda Wagner-Pelkey is working towards a BA in Art History with a minor in Anthropology here at UF. Her interests are in the form, function and history of art of the pre-contact Americas and indigenous arts of the Colonial Americas. She has recently worked with the collections at Fort King in Marion County and participated in archaeology projects at the Crystal River mounds as an intern with the Gulf Archaeology Research Institute. Mark C. Donop (PhD Anthropology 2017, UF, Gainesville) completed a dissertation focused on the long-lived Palmetto Mound (8LV2) in Levy County and has included a techno-functional analysis and 3D imaging of the pottery in the large and diverse Decatur Pittman Collection donated to the FLMNH in 1916. Donop’s work at the museum has been combined with fieldwork at the site and research at the South Florida Museum in Bradenton. (https://florida.academia.edu/MarkDonop). Mark was the recipient of the 2017 Bullen Award for student research at the Florida Museum. Zack Gilmore (PhD Anthropology 2014, UF, Gainesville), conducted petrographic analysis in the lab of fiber-tempered Orange pottery from the Silver Glen complex (Marion and Lake counties, Florida) and fired clay reference samples from across peninsular Florida for his dissertation project (http://rollins.academia.edu/ZackaryGilmore). 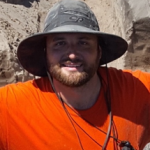 From 2015 to 2016, Zack conducted additional petrographic analysis in the lab of Stallings fiber-tempered pottery and associated fired clays from the Savannah River Valley (Georgia and South Carolina) as part of an NSF-funded postdoctoral research project with the UF Department of Anthropology. Zack is currently an Assistant Professor of Anthropology at Rollins College, Winter Park, FL. Erin Harris-Parks (BA/BA Anthropology and Geology 2012, UF, Gainesville), conducted petrographic analysis in the lab on Weeden Island pottery from the Palmetto Mound site (8LV2) for her Senior Honor’s Thesis. 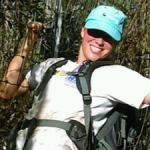 Erin went on to receive an MS degree in Geosciences from the University of Arizona in 2014 and is currently employed as an exploration geologist in the petroleum industry (https://arizona.academia.edu/ErinHarrisParks). Charly Lollis (BA Anthropology 2015, UF, Gainesville), conducted an experimental replication study of St. John chalky ware pottery in the lab using swamp muck as temper for her Undergraduate Senior Honor’s Thesis at UF (http://florida.academia.edu/CharlyLollis). Charly is now enrolled in the museum studies MA program at George Washington University in Washington, DC. 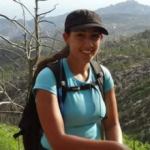 Domenique Sorresso (BA/BA Anthropology and Geology 2016, UF, Gainesville) inventoried Weeden Island effigy vessels reported in the published archaeological literature and at FLMNH collections for her for her Undergraduate Senior Honor’s Thesis at UF (https://florida.academia.edu/DomeniqueSorresso). Domenique is currently completing MA research at the University College, London Institute of Archaeology, using ceramic petrography to study indigenous pottery from the Southeastern US. 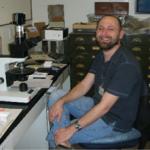 David J. Birnbaum (MA Anthropology 2014, SIU, Carbondale) studied St. Johns paste variability and the Castle Windy site (8Vo112) collection in the CTL during the Fall of 2013. Castle Windy and Gauthier site (8Br193) data were used for comparison in his Master thesis on St. Johns assemblages from sites in the Fox Lake Sanctuary of Brevard County, Florida (http://siu.academia.edu/DavidBirnbaum). 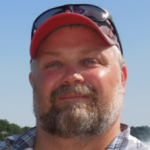 David is currently employed in the CRM industry in the eastern US. 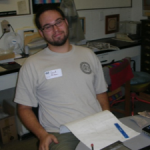 Stephen T. Mocas, CRM archaeologist, spent time in the lab in summer, 2013 using the Florida pottery type collection for comparative research (https://independent.academia.edu/StephenMocas). Amy Alleman (BA Anthropology FAU) began volunteering at the lab in February 2018. 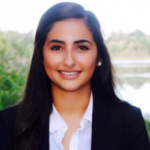 She has worked on a number of archaeology projects in South Florida while interning at Palm Beach County’s Historical Preservation Department. Currently, she is helping the Ceramic Technology Lab inventory and digitize its pottery type collections. Dr. Gerald (Jerry) Kidder joined the lab as a volunteer in 2013. 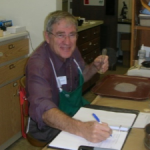 Jerry is a retired UF Soils Science professor and brought many skills to bear on processing the CTL’s former backlog of unprocessed clay samples. The lab is now all caught up with the backlog. In 2015, Jerry was awarded the Florida Museum’s Volunteer of the Year Award—Collections Division for his efforts in the CTL. 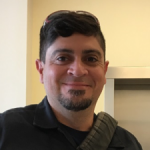 Nigel Rudolph (BA Anthropology 1998, UWF, Pensacola; BFA Fine Arts, 2002, UF, Gainesville) volunteered at the Florida Museum CTL from 2011-2013. 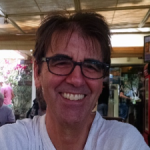 Nigel is a professional CRM archaeologist and ceramic artist (www.rudolphclaystudios.com). He is currently a Public Archaeology Coordinator with the Central region of the Florida Public Archaeology Network (http://www.flpublicarchaeology.org/crc/).